The Internet is a wonderful resource but it's also loaded with rigged websites, phishing scams, ransomware and a whole host of other constant threats. Protecting you and your family from the ceasless attempts by cybercriminals to infect your computers, steal your passwords, data and identity requires cutting-edge protection. 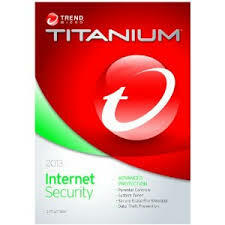 Trend Micro Titanium Security + Carbonite Online Backup will provide you with state-of-the-art protection and control over your own destiny even if you are attacked by hackers.